You can find many uses for our monogram letters! 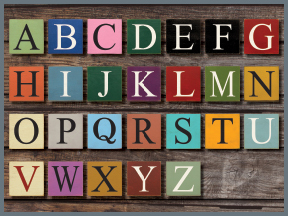 Buy individual alphabet tiles to spell out names and words, purchase a couple letters for someone's initials, or simply get one letter for a last name! With over 40 colors to choose from, your solid wood sign from Sawdust City will look great anywhere!